What Are Maintenance Status Labels? Maintenance status labels provide on-the-spot information about the status of equipment or inventory. They assist biomedical and clinical engineering departments and medical staff in ensuring proper patient care. Maintenance status labels help health systems track and communicate important safety, service, maintenance, inspection and testing information. 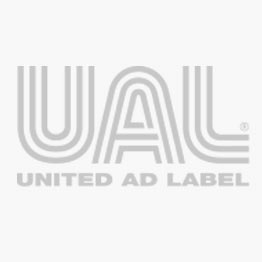 United Ad Label maintenance status labels support the Joint Commission requirement to identify equipment following an Alternate Equipment Maintenance program. They come in a variety of formats, making application to equipment easy. Plus, self-laminating options protect any notes written on the label from cleaning chemicals. Battery & Lamp Maintenance Label, 2-3/8" x 1-3/4"